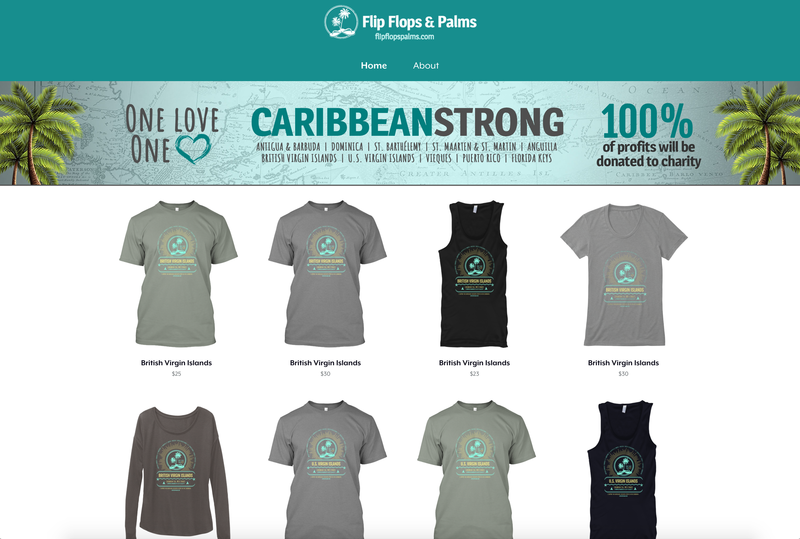 While there are a large variety of charities established to help the Caribbean recover and rebuild, we chose charities near and dear to our hearts–places we’ve been and fell in love with, islands that have provided our family with great memories, people whom we trust will do everything in their power to help the people of the Caribbean. We looked at charities that would maximize our donations to ensure the funds have a direct impact on those in need, such as providing immediate relief through food and water, paying the salaries of local employees, providing solar lights and comfort items, rebuilding structures, cleaning and replanting beaches, and more. With that being said, these are the charities and funds to which we will be donating the profits from our clothing sales. “First, I want to say thank you for your support so far. I’ve been in conversation with many other people who have also been doing fundraisers. Some have collected money and others are collecting items. This is all wonderful. The infrastructure on all the islands is so badly damaged, that it will be six months to a year before simple things like water and electricity will be available for many people.